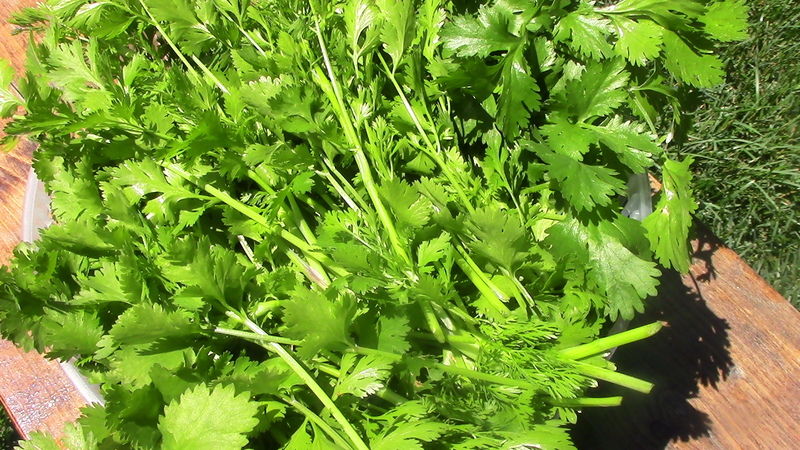 Cilantro! Apparently, we are genetically determined to either love it, or hate it. If you LOVE it….this recipe is for you! 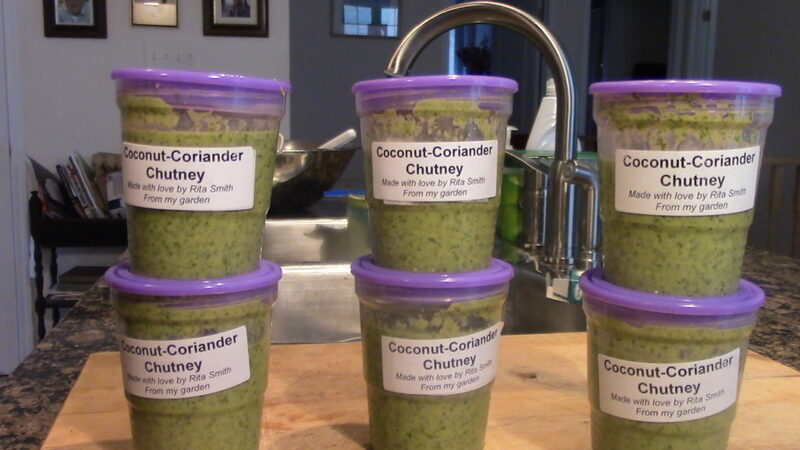 Home-made coconut-coriander chutney…it makes everything taste like Little India! Click here for my process on video. Six portions ready for the freezer. This will last me most of the winter.